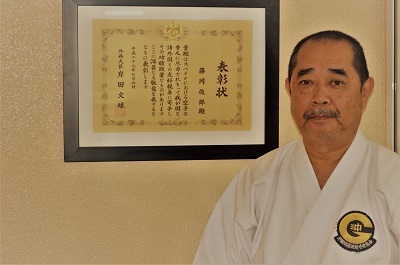 Fujioka sensei was awarded by the foreign minister of Japan. On June 29, 2017, Mr. Toshiro Fujioka, Director of our association, was awarded the Foreign Minister's award in 2017. Professor Fujioka, who is active in Spain, was awarded for his achievement in making good relations between Spain and Japan. We apologize for the delay in your report.